It's all kicking off! : It's all kicking off in Oswestry!!!!! It's all kicking off in Oswestry!!!!! It's all kicking off in Llwchwr !!!!! It's all kicking off in Falmouth!!!!! Again!!!!! It's all kicking off on the pavement !!!!! It's all kicking off in Glastonbury!!!!!! It's all kicking off up the Wirral!!!!!! It's all kicking off in Whitby!! It's all kicking off in Nottingham!!!! It's all kicking off in Westmorland!!!! It's all kicking off down the tea shop!!!!! It's all kicking off down the teachers lounge!!! It's all kicking off down the pub!!!! It's all kicking off in Chorley!!!!!! It's all kicking off in Hebden Bridge!!!! It's all kicking off down Soho!!!!!! 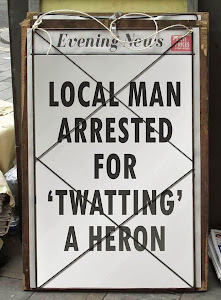 It's all kicking off in North Devon...again!! It's all kicking off in Sheffield !!!!! !